Our favorite black teas for you to try. You can select either 3/4 oz of loose leaf, enough to make 6 to 8 cups of each, or 4 of our SOILON 'silk' sachets of each tea. All of our black teas contain caffeine. Organic Sarasotan Breakfast Blend, Organic Earl Grey, Cochin Masala Chai Tea, Lemon Ginger Black Tea. This is an idea one of our customers suggested. “Why not offer a small portion of a variety of your teas so people could try them at a reasonable price” Great idea! So we created ‘Samplers’ for our black teas, green teas, rooibos teas and actually 2 for our herbal teas. Thanks again for the great idea and enjoy! 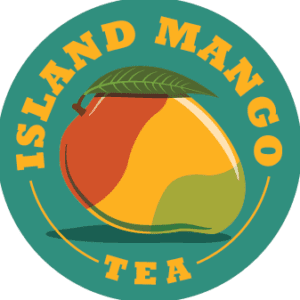 An organic bold and uniquely fabulous tasting black tea to start your day here in paradise! Deep character and sweet citrus notes of a “flowery pekoe” with the oil of bergamot natural flavoring. An exotic blend of ginger, cardamom, coriander, cinnamon, and black pepper. Bright copper color with full flavor. A whole green leaf china tea scented with jasmine flowers for a delicate floral flavor and taste. Jasmine is one of the most pleasing green teas available.